Montbell focuses on "Light & Fast®" and does so without compromising on quality, durability or function. The definition of what is functional can be very broad. It naturally depends on the products intended usage, user specific requirements and circumstances. Montbell takes this issue seriously and tries to develop a well balanced and wide range of products that can be used in extreme conditions for different intended uses. The range and depth of products offered is what makes Montbell an extremely competitive outdoor gear and clothing company. When designing functionality into products we are continually challenged to satisfy conflicting requirements. As in the case of tents, making products light and compact, could negatively impact its wind resistance and/ or thermal capabilities. In outerwear, for example, waterproofing could negatively impact breathability. Going extremely light could compromise the durability of the product. 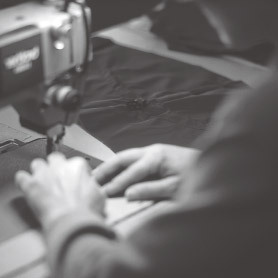 Montbell, therefore, designs and creates backcountry gear and apparel with a clear definition of use and function. As a pioneer of the "Light & Fast®" philosophy, Montbell learned early from European mountaineers that our technical equipment must be engineered for reliability in order to be functional for multi-month expeditions as well as the lightning fast assaults that Isamu Tatsuno built his reputation on. With our focus on tough materials with an ethereal quality, we maintain that we are "Light & Fast®, yet designed to last."